The #BetterCities team has been eating, sleeping, dreaming LEGO for a better part of the year now and it has all led up to the launch of our very own The Living City exhibition which gets its first run this coming weekend at The Festival Belia 2014 in Putrajaya! The Living City is an interactive exhibition catered for groups of all ages and interests to explore the fundamentals of city-making in a playful and unconventional approach using LEGO. The exhibition is designed as a LEGO board game that breaks down the central theories related to urban growth in an accessible manner as players contribute to the living city with their own LEGO creation while engaging and negotiating amongst one another on the form the city takes as it develops. 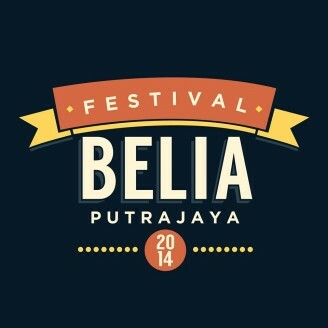 The Festival Belia Putrajaya and The Cooler Lumpur Festival set in Publika in June will be a trial run exhibition for The Living City where the game mechanics and interactions will be tested out on a smaller scale. 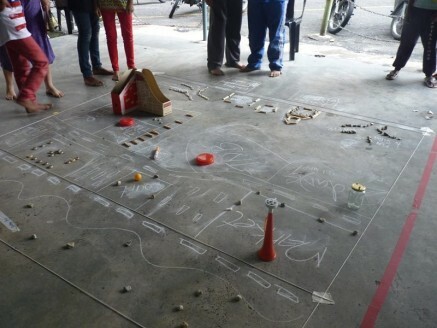 The Living City takes on its full form at The George Town Festival in Penang this year in the month of August where the three components of The Living City will be carried out which includes a master class workshop, a visual exhibition and a week-long larger scale exhibition of The Living City interactive board game. The rule of the game is simple; players start by having the option of selecting a challenge card which suggests themes and types of structures that makes a city. The challenge card includes suggestions of appropriate housing, landmarks in the city and questions the depletion of resources in the city. Players can either design according to their challenge card or design whatever they feel to be an integral part of the city as creatively as possible. The player will then decide where to place their creation by removing (deforesting) miniature LEGO trees on the green LEGO terrain. As the game progresses and more creations are placed on The Living City, players will have to negotiate with existing constructions and depleting green space to decide what gets demolished to make room for their construction. It is this thought process of contributing their creation to an existing LEGO landscape which we hope to gain stimulating conversations and ideas from on the issues of urban growth. As players contribute to the growing city, they immediately witness the effects of city-making as they alter the topography of the LEGO landscape, emphasising with the The Living City as a living organism. Some of the immediate concepts players observe through this exhibition is the act of deforestation, negotiation of resources and the understanding density in a city. The Living City takes its name after Archigram’s 1963 exhibition of the city of the future, an avant-garde architecture firm which influenced the likes of Norman Foster and The Centre Pompidou. #BetterCities has been working behind the scenes on this for months now and we have even recruited new members to our team to assist in the conceptualisation and follow through of The Living City. Lay Sheng and Jia Ling came on board as our interns during the preparation of The Living City and Syukri was scouted to be the set designer of the exhibition. Yasmin Lane is the research lead at BetterCities. She graduated with a degree in International Relations and has since shifted her interest from the people and institutions that make up the city to learning new ways of shaping and improving the structures of the city itself. We at #BetterCities have been working on ‘The Living City’, our LEGO based interactive exhibition for quite some time now and we are happy to announce that it will debut at the upcoming Festival Belia in Putrajaya! The Living City is an interactive exhibition devised of a LEGO-based board game and the collective experience on creating a fictional city. Named after Archigram’s 1963 exhibition on the city of the future, the game consists of a topographic LEGO model of an imaginary city on top of which players will take turns to build and place their LEGO building creations, contributing to the continuous construction of The Living City. Anyone can participate in The Living City, regardless of age or interest, all you need to do is construct your own LEGO creation and then watch the city grow! The Living City aims to inspire participants and onlookers to view cities as living organisms and highlight the impact of urban growth on memory and environment in a tangible way as participants explore architecture and city-making concepts in a hands-on approach. 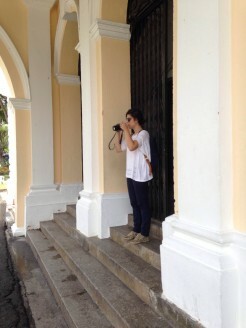 The Living City will be also be traveling to The Cooler Lumpur Festival in June and at The George Town Festival in August. Last March, we explored the topic of “Social Housing in Malaysia” for the 5th installment of the #BetterCities Talk Series. 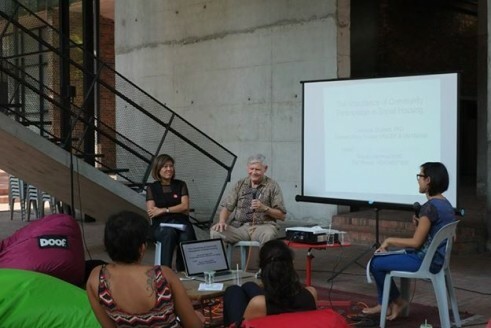 The talk featured two speakers, architect Lillian Tay and consultant with UNDP, Dr. Clarence Shubert. Ms. Lillian Tay shared two projects done in VERITAS Architects, the first a re-imagination of Pekeliling Flats and the refurbishment of Maju Jaya Flats in PJS2 (Kg Medan). The focus of her presentation was an analysis of the on-the-ground realities and problems affecting low-cost housing and how sensible design and physical planning solutions can help to mitigate these problems. Dr. Clarence Shubert spoke about the community organizing aspect of social housing including methods for promoting and assessing community participation and an introduction to cooperative housing. Since then #BetterCities has visited several different PPR flats (Projek Perumahan Rakyat or People’s Housing Project) to get a better understanding of the issues they face. We were interested to know what some of the projects are that have been done in Malaysia that aims to improve liveability of communities in PPRs. We managed to visit a PPR in Lembah Subang, Lembah Pantai and Kota Damansara with community figures who have direct links to these housing areas. The main differences between the three was the use of the ground floor of the flats. The ground floor of the Lembah Pantai and Kota Damansara PPR is left open giving the space a sense of openness and connectivity. All three PPRs experienced the same problem of the lack of sense of ownership, the conditions of the PPR were not well maintained and a lot of the blocks we visited had vandalized walls, missing railings and metal gutters. Often the lifts of the building were in bad condition, making the daily trip up an 18-storey building challenging to say the least. 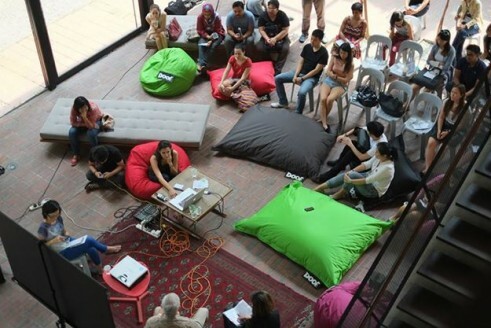 From our research, one of the most interesting community engagement projects carried out in a PPR was done by an arts collective called Arts-Ed Penang. 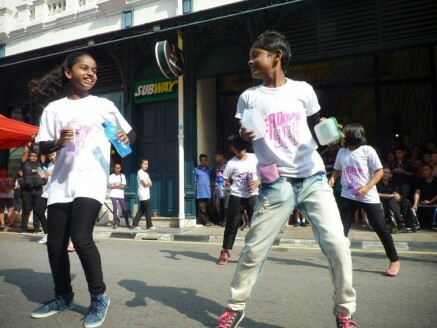 As an NGO that provides innovative non-formal arts and culture education for young people they were approached by the Penang State Government to facilitate a 3 year project in Sungai Pinang, Georgetown. The project, known as Sungai Pinang Kita, involves working with young residents living in the area to rethink the way that they look at waste management in fun and creatives ways. 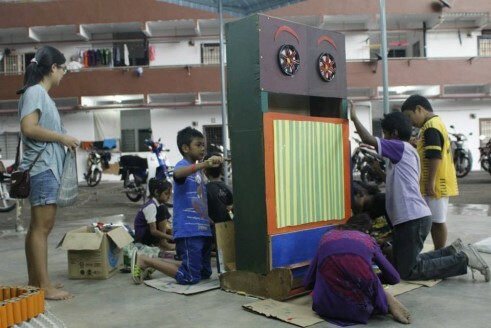 Sungai Pinang Kita conducts building, movement, photography and video workshops and organises a recycling festival in the community where the children perform and present their work. The initial stage of the project focused on engaging with the young residents and slowly building their trust. Arts-Ed conducted a cultural mapping series to identify the theme of the 3 year project by exploring the area together with the residents and mapping out existing interesting and problematic issues. 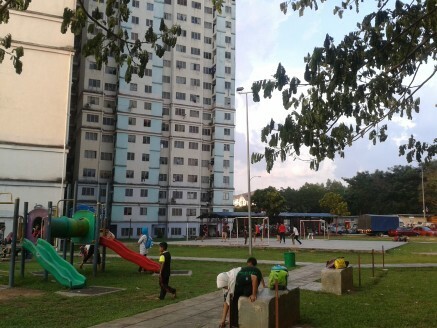 Given the specific theme of waste management, the creative methods and tools used to engage with the residents and outcomes of the project has resulted in improving the liveability in the area by raising awareness and shifting perception of how the residents manage their rubbish. Sungai Pinang Kita has a target by 2014 of reaching and sustaining zero waste in the community. The Living City is an interactive exhibition that explores city-making in a playful and hands-on approach using LEGO as a building medium. The Living City, named after Archigram’s 1963 exhibition of the city of the future, is devised as an empty landscape on top of which players will contribute to the ever growing fictional living city. As the game progresses, players will have to negotiate with existing constructions and depleting green space to decide what gets demolished to make room for new buildings. The Living City aims to inspire participants and onlookers to view cities as living organisms; to explore architecture and city-making concepts in an interactive approach; to trigger insightful conversations about urban growth; and to mirror the impact urban growth has on memory and environment. Preceeding the exhibition at George Town Festival, there is a 2-day masterclass workshop led by the Danish-Icelandic architecture studio, KRADS. Since 2010, this team of architects has been involved in a series of workshops at the intersection where LEGO meets architecture. Fifteen selected participants will get an opportunity to attend a 2-day master class workshop led by Danish-Icelandic architecture studio, KRADS. 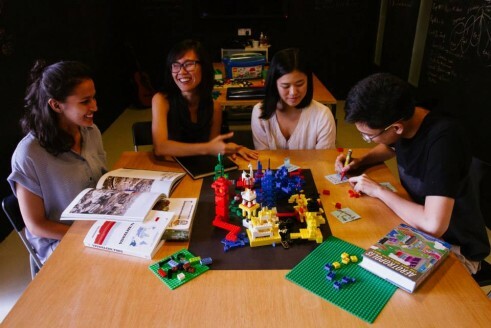 At this workshop, participants will be using LEGO as a building and thinking medium. Participants are expected to bear the cost of transport to George Town (if necessary), and are in charge of their own accommodation and living expenses. There will be no reimbursement from the organizers of the workshop. Fill out the enclosed form, and send it, together with your portfolio and resumé to Lia@betterciti.es with “Application” in the subject line. The deadline for applications is Friday, 25 July, 2014. 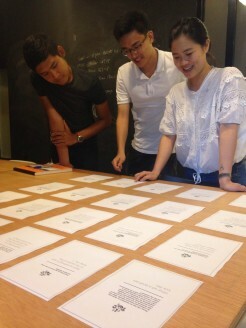 The masterclass is open to architecture and urban planning students, as well as young professionals. The workshop will take place at MPPP Town Hall, Jalan Padang Kota Lama in George Town, from Saturday, 16 August, to Sunday, 17 August, 2014, between 10am to 6pm. The masterclass is free of charge.